The movement of goods through any port typically involves a variety of companies and service providers – stevedores, freight forwarders, transport companies, empty container parks and shipping lines. Each of these companies charges a fee for moving the cargo. While the services these companies provide are essential in the movement of freight, it can be difficult to understand the various charges which are levied along the supply chain. The Port of Melbourne is Australia’s largest containerised and general cargo port, with links to over 300 ports globally. Port of Melbourne Operations Pty Ltd (PoM) manages the Port of Melbourne and is committed to provide the environment for importers/exporters to move cargo through the port, in an efficient and productive manner. 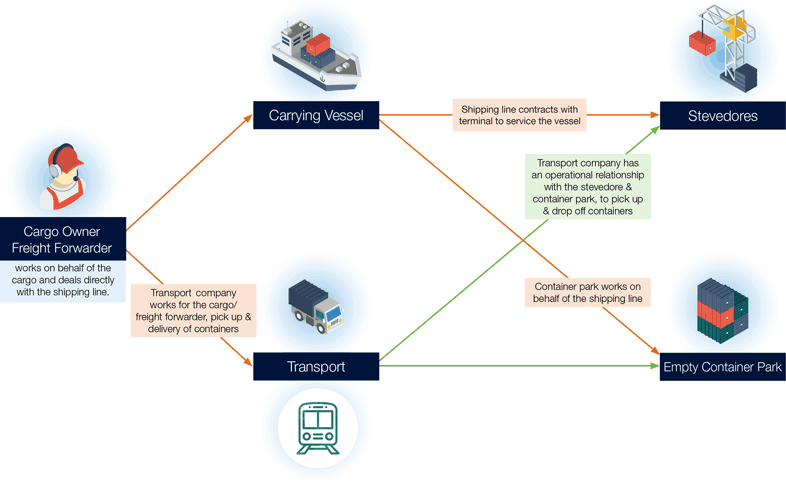 Full container load (FCL) - All goods in the container are owned by one party, which can be managed either directly by the cargo owner, or a freight forwarder. Wharfage fees – a cargo fee levied on cargo (including empty containers) transferred between or overside vessels when berthed at a wharf. Wharfage fees are charged per unit of quantity, volume or weight of cargo and differ by cargo type. Berth hire fees – a shipping fee calculated based on the total time a ship remains alongside a berth that is not privately operated. Lay-up charges may also apply at certain other berths when cargo operations are not being undertaken. Channel fees – a shipping fee, levied once per ship visit, calculated based on ship size gross tonnes (GT) of the vessel. Details of these fees, which are updated annually, are available here and are contained in PoM’s Reference Tariff Schedule which can be accessed here.